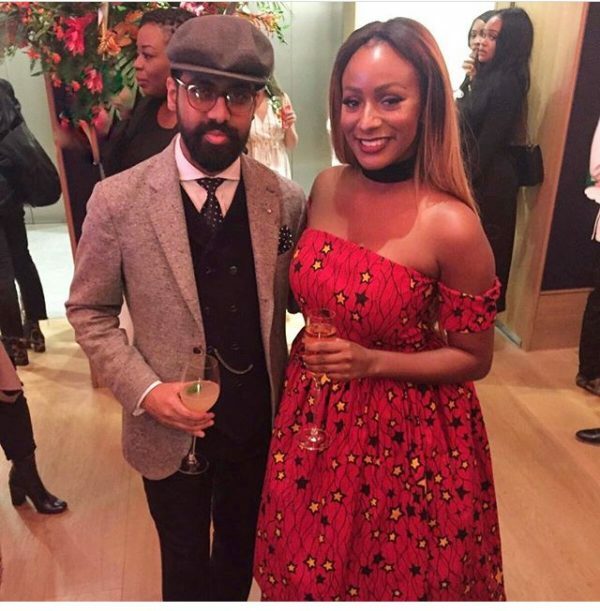 DJ Cuppy, Nigerian DJ and daughter of billionaire Femi Otedola, was the official DJ for an event held at Bonhams in London called “Africa Now”. 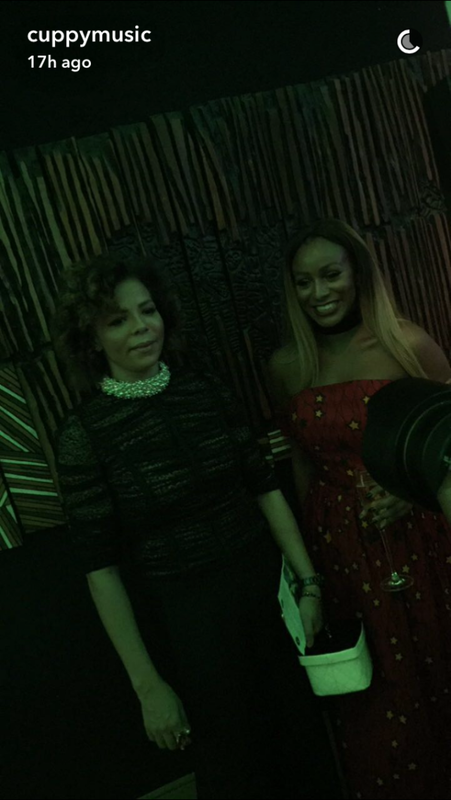 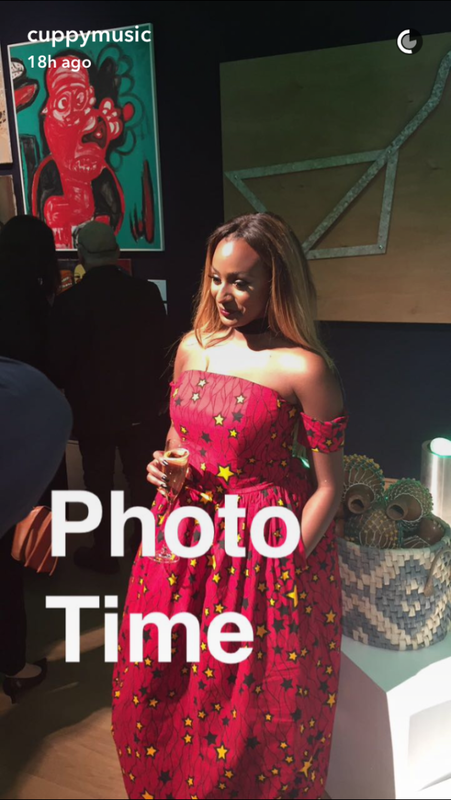 The event was held in collaboration with the Dangote Foundation and was an opportunity for Bonhams to sell some African contemporary art. 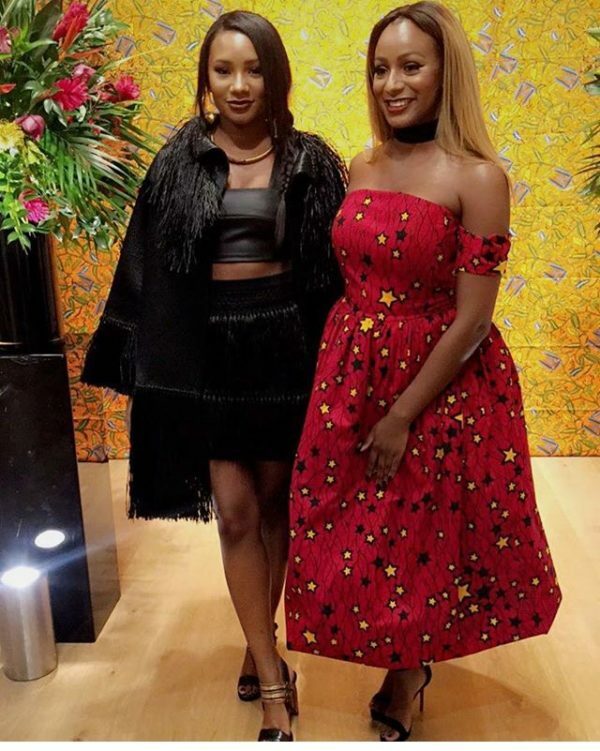 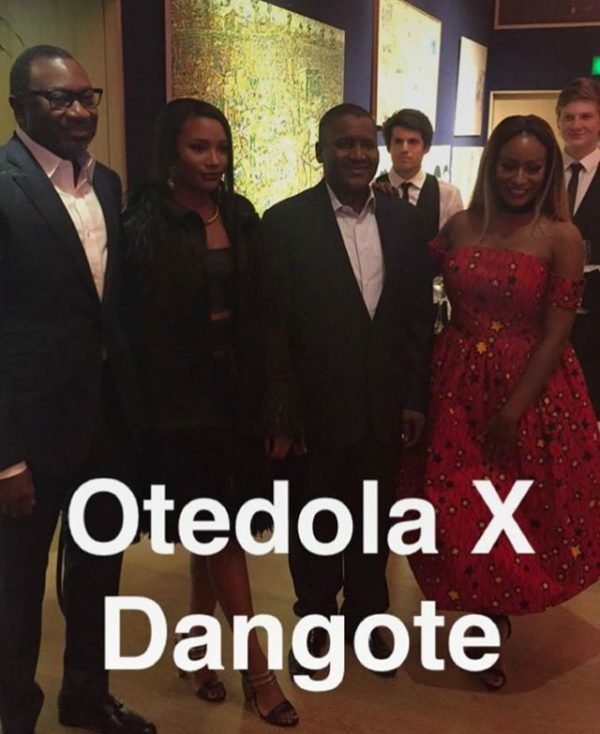 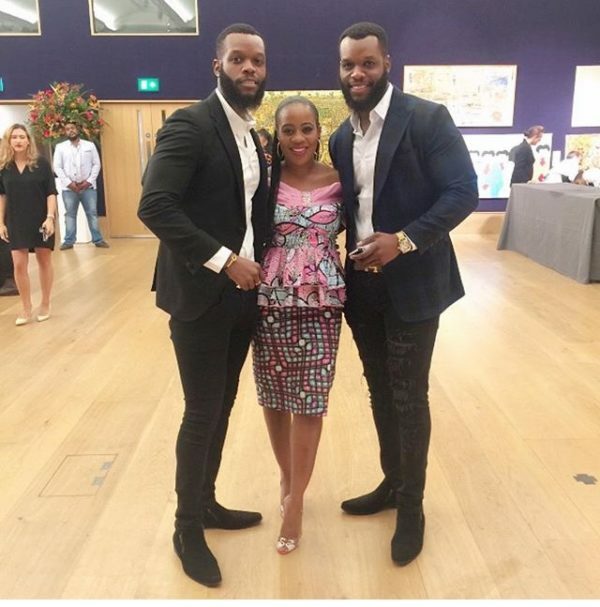 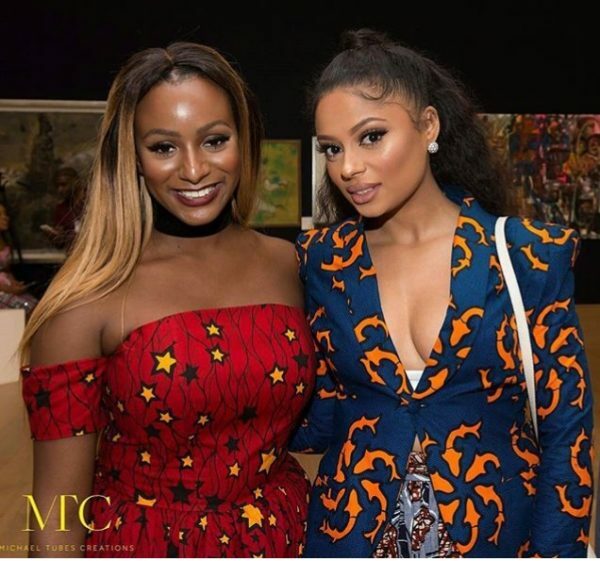 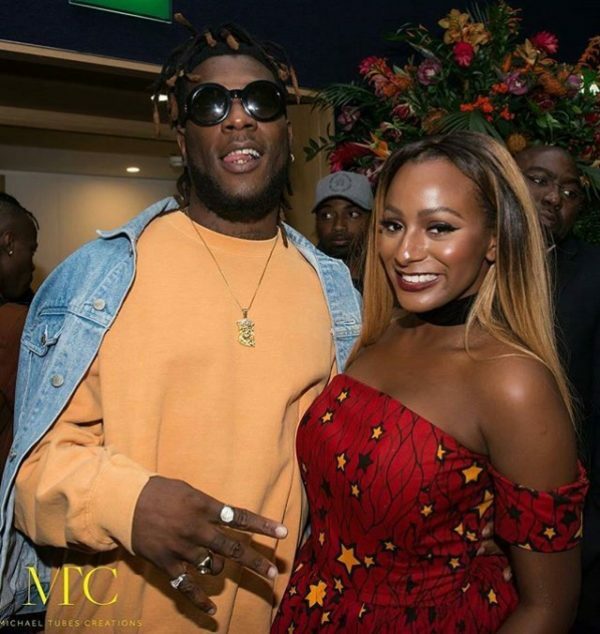 DJ Cuppy attended with her dad, sister Temi Otedola and her rumoured footballer boyfriend Victor Anichebe. 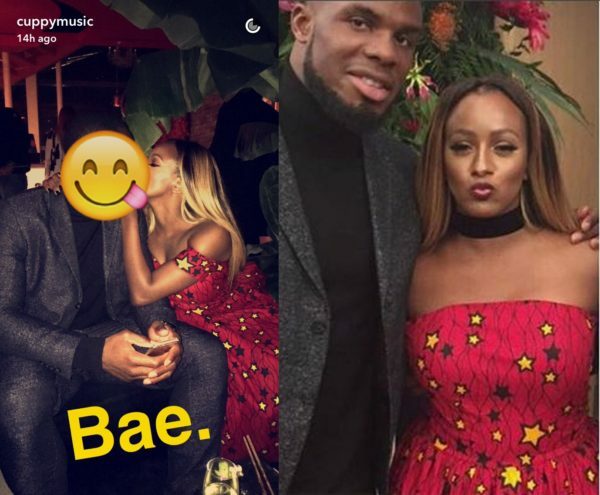 The 23-year old had first posted a photo of her and her boyfriend sharing a kiss, with his face blocked out with an emoji, but her Snapchat account later uploaded a photo of Victor Anichebe (in the same clothes), without his face blocked out. 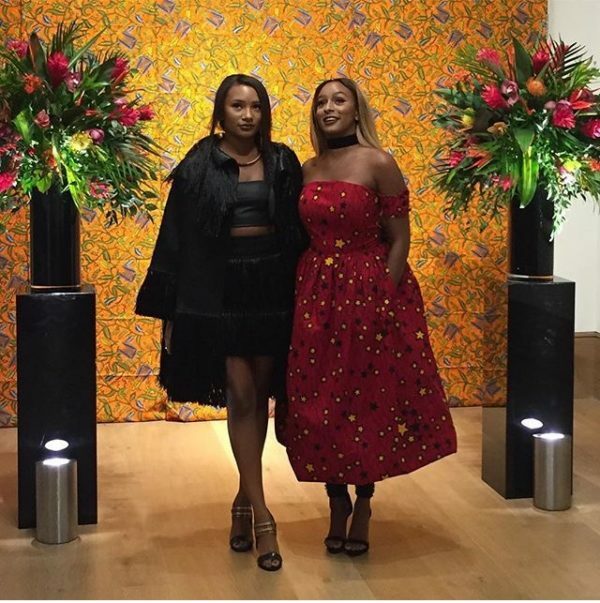 The unblocked photo has since been deleted. 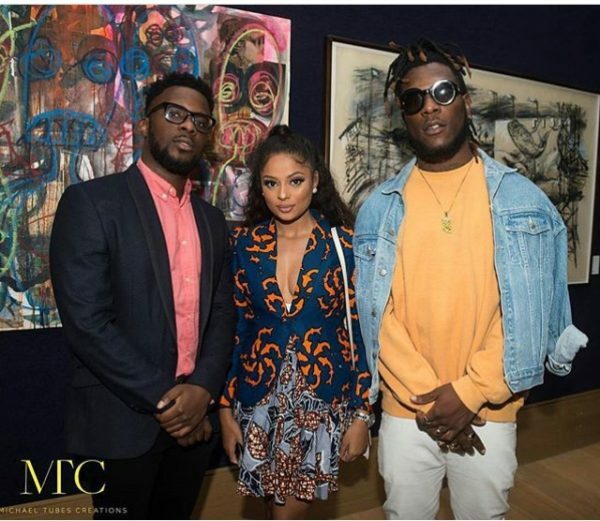 Also in attendance at the event were Nigerian music stars Lola Rae and Burna Boy. 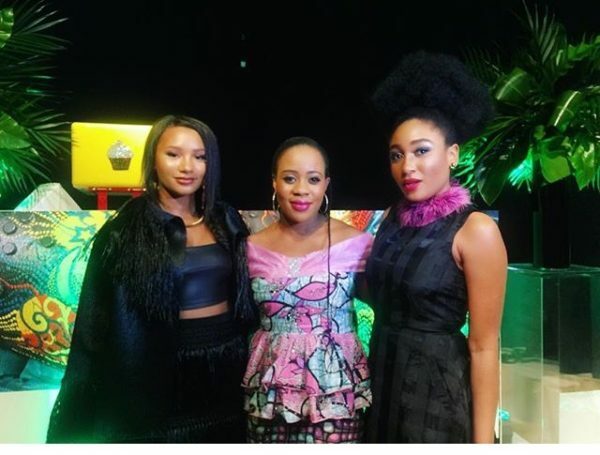 Aliko Danjote, the Mbadiwe Twins, Tomi Badejoko, Mbong Amata and more also attended.